I used to love Road Rash, back on the Mega Drive. Even played Road Rash 3 again fairly recently, which stands up well thanks to its sheer fun factor. 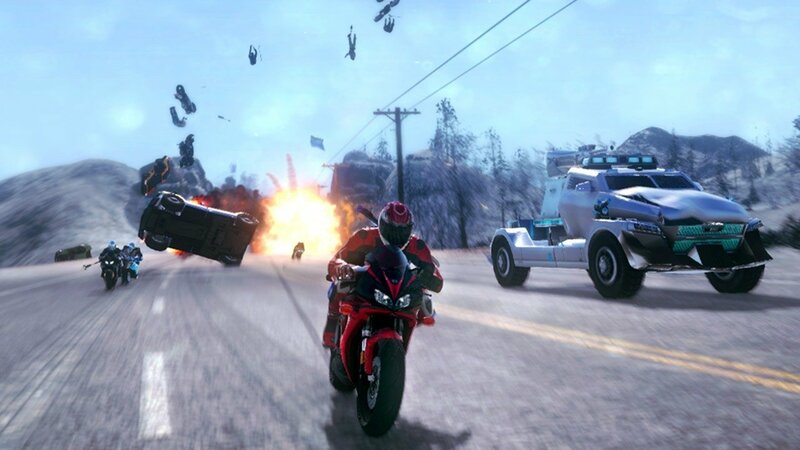 Bringing the series to a more modern market, through a spiritual successor like Road Redemption, had the potential to do quite well, especially in this age of retro resurgence. 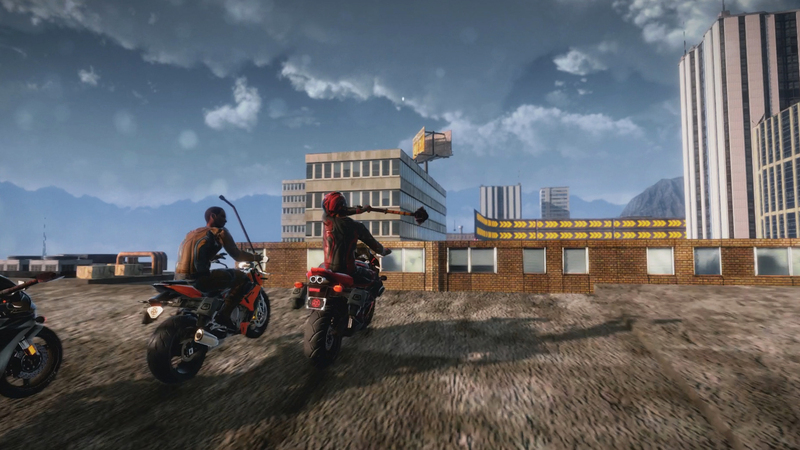 Road Redemption, like Road Rash before it, sees you and your opponents on motorbikes, racing down busy highway roads while smashing each other in the face with baseball bats and other assorted weaponry. There are no braking zones or hairpin bends to worry about, as the roads are largely straight with only minor curves to negotiate in most of the tracks. This helps you to concentrate on not being thrown over the bonnet of an oncoming car, or having your head lopped off by an opponent’s machete. Make no mistake, while Road Rash was (sort of) family friendly, Road Redemption seems to delight in its adult content. The Australian narrator and the Mad Max vibe given off from the cast of bikers isn’t even close to PG, with salty language flying around before, during and after events. As I mentioned moments ago, you can decapitate one another during races, with the accompanying sounds leaving nothing to the imagination. I’m no prude, but if the aim was to appeal to fans of the games that inspired it, I feel that the language and ultra violence misses the mark entirely. Another missed mark comes in the form of its campaign mode, which is a bizarre mixture of roguelike structure and objective-based missions. There is a flimsy story, in which the leader of a post-apocalyptic country is assassinated and various biker gangs race across said country to claim the massive bounty placed on the assassin’s head, but it really makes no difference to anything. As long as you have health left, you can make it through level after level, challenge after challenge, but if you fail an objective you’ll be punished and your maximum health will be reduced. To combat this, you can purchase upgrades between levels, using money earned through taking down enemies and completing objectives. These range from increased attack power and extra nitrous, to restoring lost health so you can keep going that little bit further in the campaign. Money doesn’t carry over, so you’ll need to choose wisely when deciding which bonuses to buy. It’s a total risk/reward situation. Once you die, and you will, if you’ve done well you will have XP to spend that will help during your next run. You can increase your strength or health, and even unlock the ability to start at later levels instead of the very beginning every time. And there it is. Yes, you will be restarting the whole adventure whenever you die, but all that really does is make the game feel incredibly repetitive. Even with the randomly generated levels, it just drags on far too much. It wouldn’t be quite so bad if it wasn’t for the rooftops of chapter two, in which falling off is far too easy due to the floaty physics, depleting your health a little too quickly and resulting in many game over situations. Thankfully, you can participate in general races separately to the main campaign. This is where Road Redemption feels more at home, when your objective is simply to win the race. You know, while also hitting your opponents square in the face with a baseball bat. It’s not without its own set of flaws, such as opponents randomly appearing well ahead of you at the end of a race, but it’s still far more fun than the main campaign. If this was the main part of the game, I would have been far happier to keep playing. General racing is fun and the environments are relatively varied, and it feels like the best way to play the game. 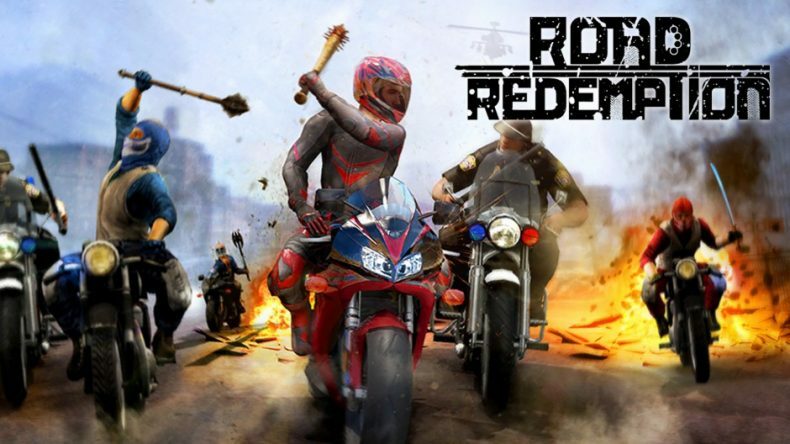 Road Redemption is alright, then, but its overuse of bad language and decapitations definitely stops it from being a proper (if unofficial) follow-up to Road Rash. Weapons have some weight behind them and the sense of speed is great, but it’s too bad that that speed doesn’t apply to the overly long load times between events. They’re glacial. Problems aside, fans of Road Rash will enjoy most of what Road Redemption has to offer, but it’s unlikely to affect a wider audience during this busy Q4 period.